Organisers of the event in Canada, due to take place from November 26 to December 4, have confirmed they still hope to stage women’s competitions as planned. Men’s events were scheduled for the first two days, with women’s action taking place from December 2 to 4. Warm weather and minimal snowfall in the area prevented local officials from preparing the race track for the men’s races, forcing FIS officials to cancel them. 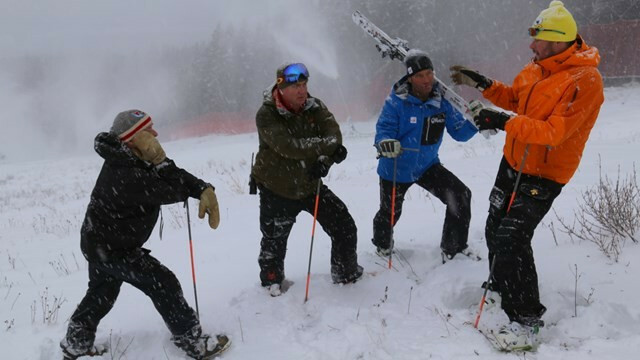 FIS race director Hannes Trinkl and men’s chief of race Darrel MacLachlan first conducted a snow control last Saturday (November 12), where it was agreed to postpone a decision on whether the event could go ahead until today as a result of a "positive forecast". A second inspection has since been carried out and it was then confirmed that Lake Louise was not ready to host the men’s super-G and downhill races. "One week ahead of the first training run, the warm temperatures, the lack of snow and an unfavourable weather forecast won’t allow a qualitative preparation of the race track to meet the World Cup requirements," an FIS statement read. Men’s super-G and downhill slalom competitors will not have to wait long to take to the snow, however, as the next Alpine Skiing World Cup event is due to be held in Beaver Creek in the United States from December 2 to 4. "While we have good snow conditions on the upper mountain, we didn't have enough cold to get to the finish line for the men," Brian Lynam, race chairman of the Lake Louise Alpine Ski World Cup, said. "We will continue our efforts for successful races for the ladies and look forward to the men returning next year." An announcement regarding possible replacement sites for the super-G and the downhill races will be communicated in "due course", the FIS promised.